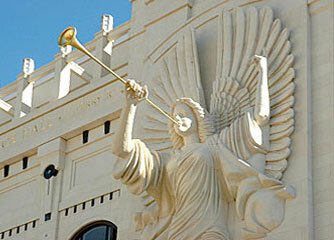 The home to major performing arts organizations of Fort Worth and is a premiere venue for other attractions. The Nancy Lee and Perry R. Bass Performance Hall complex is the crown jewel of a city which boasts the nation's third largest cultural district. It is also an important symbol of one of the most successful downtown revitalization efforts in the country. Built entirely with private funds, Bass Performance Hall is permanent home to the Fort Worth Symphony Orchestra, Texas Ballet Theater, Fort Worth Opera, and the Van Cliburn International Piano Competition and Cliburn Concerts. It also hosts special productions of Casa Mañana Musicals, and presents Performing Arts Fort Worth's "Hall Series", a popular array of eclectic entertainment.